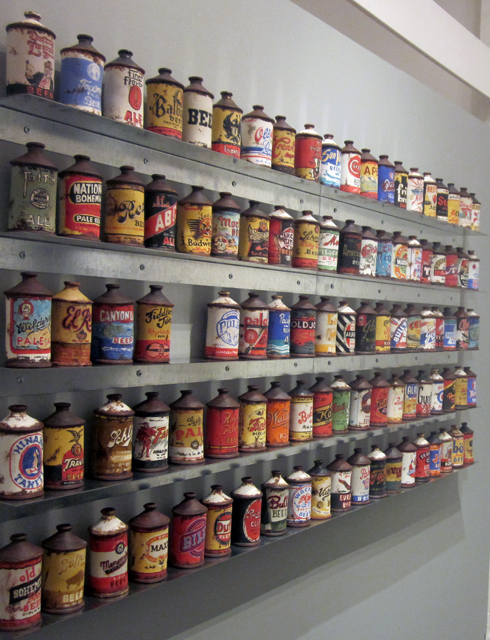 My first ever Solo Show, “99 Cans of Beer on the Wall” is installed for the month of May at Roscoe Ceramic Gallery in Oakland, CA. You’re invited, whether in person or virtually. Or both. I love that. You can see the display, purchase a piece or two, or just say hey. It all counts. How do you like it? It’s new and swanky and I still haven’t fully moved in, gotten comfortable with the appliances or installed the towel racks, but it looks promising. It’s room to spread out and represent authentically. Just like this exhibit: I have thrown down nearly all I’ve got. Crafting and choosing the work has also seen me improve in my making and painting patience skills. No longer am I in a hurry: 99 Cans of Beer will happen whether you hurry or not and they will be better if you stay happily trotting in place alongside each and every one. It was a great new way to work and will follow me into the rest of what I do this year. And every year. I am honored to share this harvest with you. Here is Stevie Wonder’s “Smile Please” for a Fulfillingness’ First Finale accompaniment.